Metal Gear creator Hideo Kojima loves Twitter. He's always tweeting up a storm. 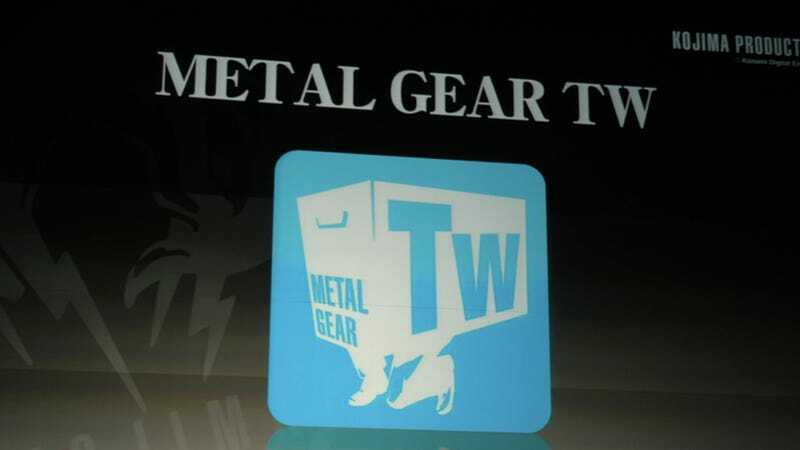 He loves Twitter so much that his studio now has its own Twitter app, called Metal Gear TW. The modified app uses your Twitter name and followers, but it has a special "camouflage mode" that allows you to censor elements of your own tweets so that only designated people can read them. Below you can see how that works. Also, there's a stealth type mode, which was described as a "mute" button but sounds like a block or ignore function, allowing you to keep certain Twitter users out of your feed without them knowing. The tweaks that Konami and Kojima have made to Twitter actually sound pretty damn cool. If he ever gets sick of making games, maybe Kojima can get a job at a social networking company? Metal Gear TW will be out on iOS by the end of the year.